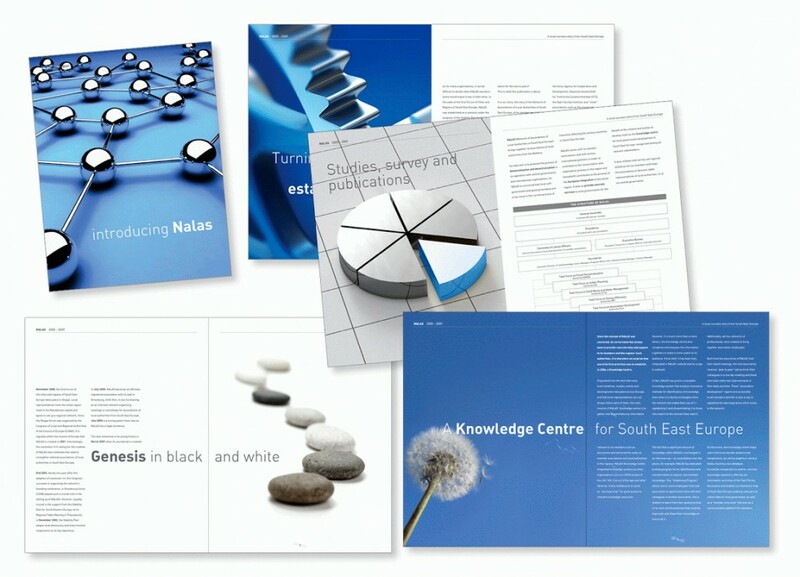 Brochure pour Network of Associations of Local Authorities of South-East Europe (NALAS). Mon parti-pris a été de travailler dans une gamme sobre de couleur bleue et grise, et de privilégier une mise en page aérée. NALAS is a network of associations of local authorities of South East Europe. The Network brings together 16 Associations which represent roughly 9000 local authorities, directly elected by more than 80 million citizens of this region. The NALAS Secretariat, based in Skopje, is responsible for the overall coordination and the implementation of the activities. ← Logo PROJET PEDAGOGIQUE P.I.A.F.